The Big Ask is part of the Dementia Festival of Ideas, which marks the 25th anniversary of Stirling's Dementia Services Development Centre. The University of Stirling's leading centre for improving dementia services is calling on the public to share their views ahead of its major international conference. Stirling’s Dementia Services Development Centre (DSDC) will host the International Dementia Conference in Birmingham on 3-4 November. Centre Director, Professor June Andrews, will present interim findings of The Big Ask, the largest study of its kind asking what people think about dementia. Professor Andrews said: "As you would expect, crucial to developing effective care and services for people with dementia is to find out what people think about the condition. "The Big Ask will help us do just that and I would urge as many people as possible to complete the online survey and help to shape the direction of dementia care and support." 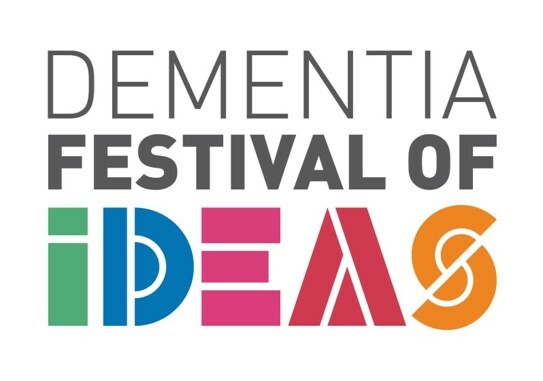 The conference forms part of the year-long Dementia Festival of Ideas to mark the 25th anniversary of the Dementia Services Development Centre. It brings together health and social care delegates, people with dementia and their carers, focusing on key issues around care, innovation and good practice. Professor Andrews added: "The Dementia Services Development Centre is delighted to be organising this conference in partnership with the Care and Dementia Show in Birmingham, the UK's largest health and social care exhibition. "We have a fantastic line-up of speakers from the UK and across the globe. Together we can share best practice and set the agenda as we look to address one of society’s biggest health concerns of the 21st Century. One in three babies born in the UK this year will be affected by dementia by the time they die in old age, according to recent research." Take part in The Big Ask survey. The International Dementia Conference includes a series of individual talks, panel discussions and practical case studies highlighting recent trends related to Financing Old Age; Living with Dementia; Research and Design; Care at Home; Best Practice in Care Homes; Families, Faith and Communities; Inspection and Regulation; Training and Regulation; Law and Ethics; and Art and Culture. The Big Ask survey will run continuously and a full report will be published in December. The DSDC, based in the Iris Murdoch Building at the University of Stirling, is guided by an International Advisory Board and is self-funded, largely from charitable sources. Conference speakers include Baroness Joan Bakewell, broadcaster and journalist, Professor Alistair Burns, National Clinical Director for Dementia at NHS England and Professor Tara Cortes, New York University College of Nursing, who will give an exclusive preview of the US National Alzheimer’s Strategy. Winners of the prestigious Dementia Services Development Centre University of Stirling International Dementia Awards 2015 will be announced, across six categories of finalists, including Dementia Leader of the Year.